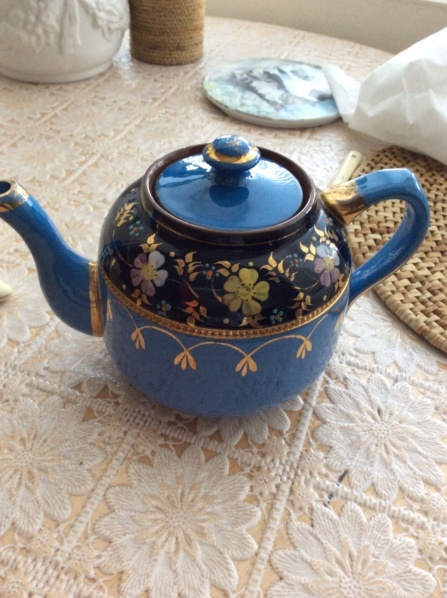 This teapot was in my Grandmother's china cabinet in Devon forever - I imagine she had it from 1920's or earlier. It has now with Mother and coming my way and I have no idea how to identify it. It has blue glaze a bit like Devon pottery and brown stoneware base and inside. I could take more photos when I see it again. Thanks to anyone who can give me a clue.